Rose gold has been one of the hottest trends is past year and it doesn’t look step to stop! This gorgeous shade can now be seen in almost every aspect of your life, from on your nails, to in your hair to even on the electricals you use. 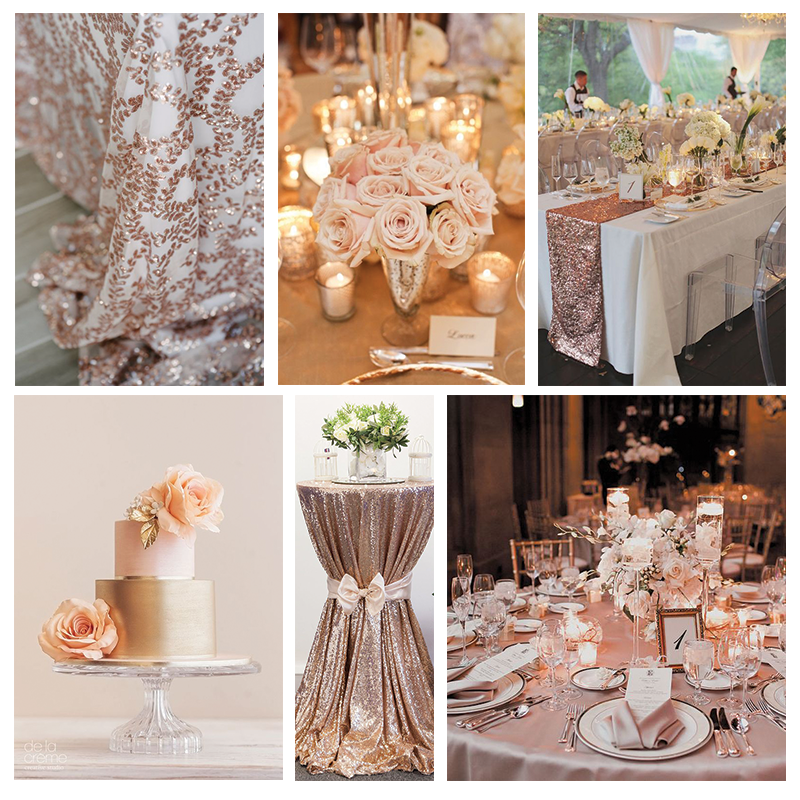 It’s no wonder you would want to plan your wedding around the stunning shade of rose gold. 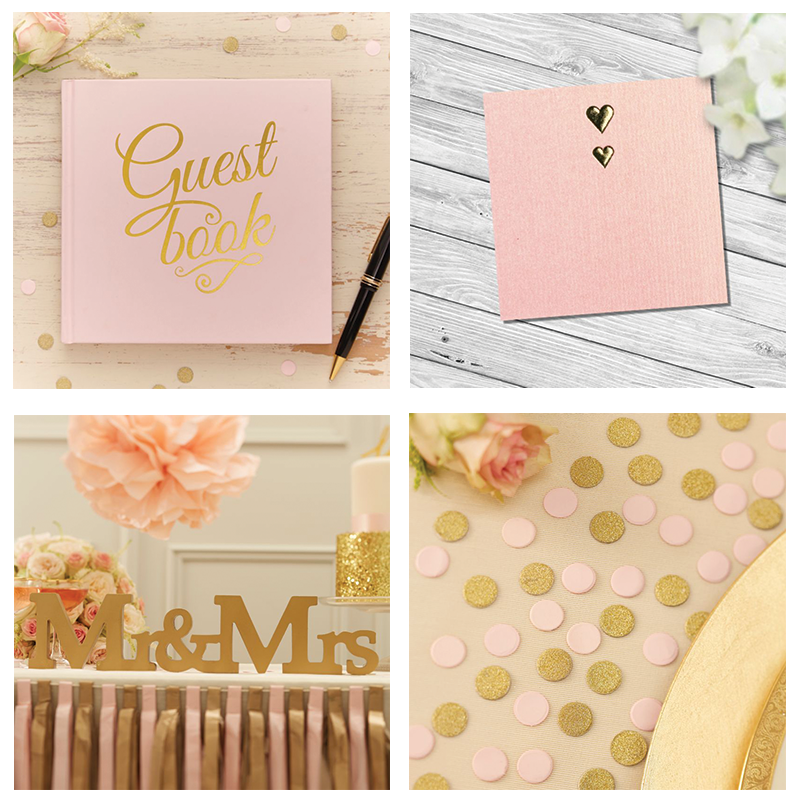 We’ve found the perfect wedding stationary and invites, room decorations and style ideas to help you plan your big day. Why not add a splash of pink and gold to your cake, simple and easy touches like this will give your overall wedding a more luxurious feel. Instead of plain white roses, try a soft pink shade. Match these with your napkin, the table cloth cover and the warm glow of tea lights and you’ll be in rose gold heaven! Rose gold jewellery has been one of the biggest jewellery trends this year so far, with the soft pink tones being used on earrings, necklaces and engagement rings. So why not have your jewellery match one of the hottest trends of the year. 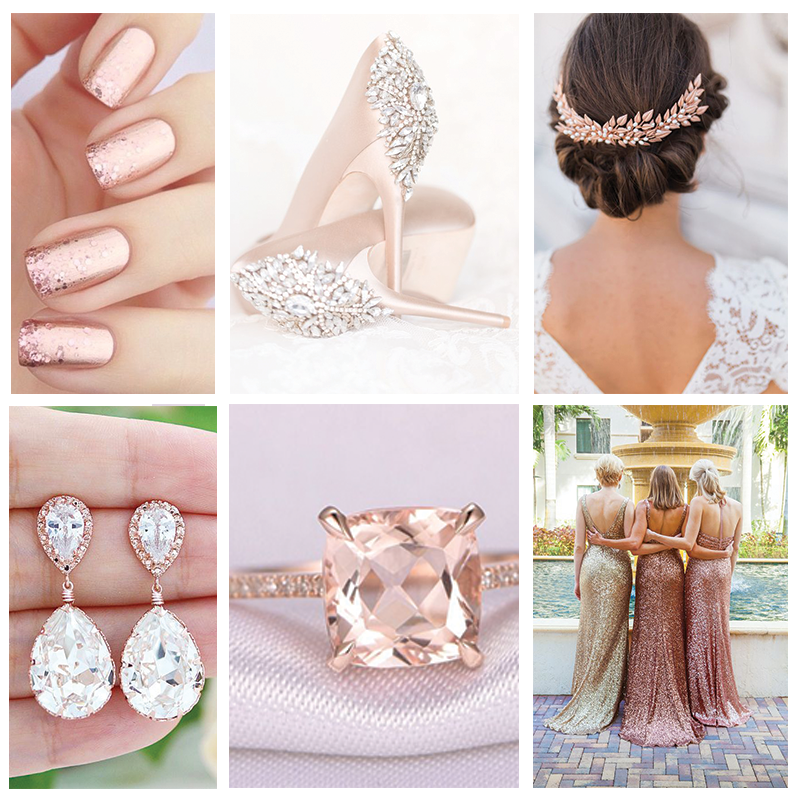 Goodbye fluorescent bridesmaid dresses, hello stunning and shimmering rose gold bridesmaids! We are sure your girls would LOVE to be wearing such a on trend colour.